The Gamo P-25 is a great air pistol that incorporates a gas blowback system to provide realistic recoil, just like the real thing. 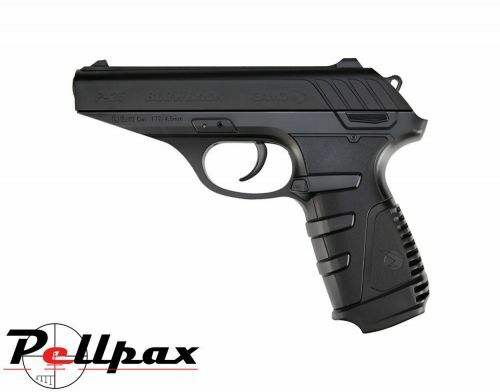 Ergonomically shaped and weighing just 1.5 lbs, this pistol is comfortable to hold for long periods without fatigue. The grip of the pistol has been textured for a sure hold and allows for pin point precision. The P-25 is capable of producing muzzle velocities of around 450fps in ideal conditions leading to great accuracy and predictably flat trajectories making hitting the target easier than ever.